What is Alvar Aalto Symposium? The Alvar Aalto Symposiums are international symposiums on architecture held every three years in Jyväskylä with the intention of arousing discussion about the artistic, social and technical problems of modern architecture. The language of the symposiums is English. Alvar Aalto frequently gave lectures at the Jyväskylä Summer Festival and in 1977, a special Alvar Aalto event was held, which involved a number of lectures and visits to various buildings designed by Alvar Aalto in and around Jyväskylä. The same year, the decision was made to hold the first symposium in 1979. 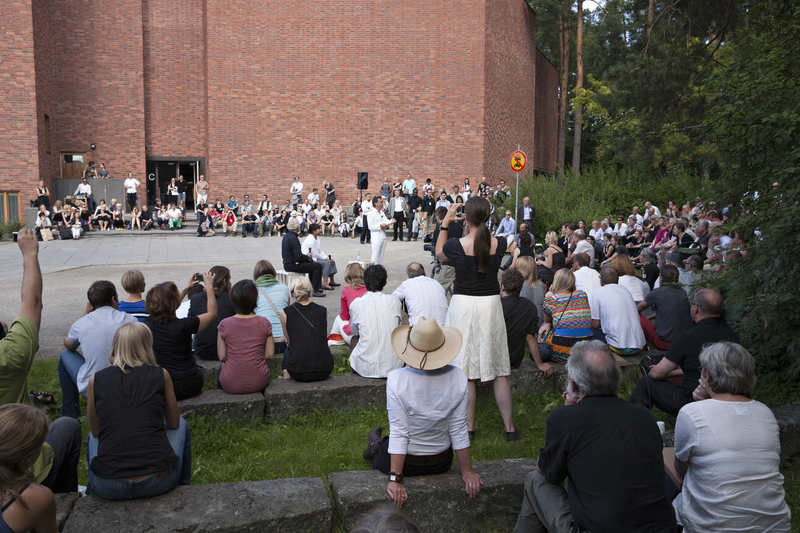 The Alvar Aalto Museum and the Jyväskylä Summer Festival acted as the principal local organizers. Representatives of SAFA (the Finnish Association of Architects), the Museum of Finnish Architecture and the Alvar Aalto Foundation were invited to join the organizing committee. 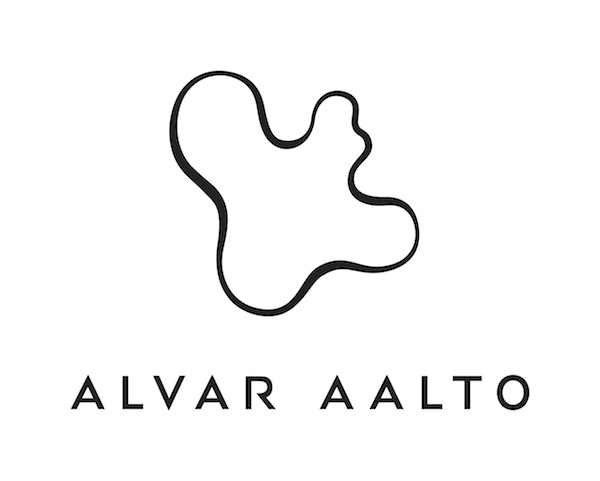 Nowadays, the principal local organizer of the symposiums is the Alvar Aalto Foundation. So far, the symposiums have been organized fourteen times and their themes have included the relationship between modern architecture and tradition, popular culture and cultural values, and taking the limitations of natural resources into account in the architecture of today. The 14th Alvar Aalto Symposium was held in Jyväskylä, Finland, 30.-31.8.2018. This time the focus was on current challenges and possibilities of future housing design and construction in urban areas. Program consisted of general lectures which were intended to offer a comprehensive understanding of the theme. The chair of the symposium was architect, professor Markku Hedman. Elina Alatalo (Finland), Selina Anttinen (Finland), Stephen Bates (United Kingdom), Jaakko Blomberg (Finland), Mikkel Frost (Denmark), Anne Kaestle (Switzerland), Antti Lehto (Finland), Katja Maununaho (Finland), Elli Mosayebi (Switzerland), Ola Nylander (Sweden), Sofie Pelsmaker (Belgium), Peter Pichler (Italy), Sini Saarimaa (Finland), Jyrki Tarpio (Finland), Jeremy Till (United Kingdom), Verena Von Beckerath (Germany), ja Anders Tyrrestrup (Norway/Denmark). The exhibition at the Alvar Aalto Museum – The Housing Problem. Alvar Aalto’s housing architecture – was linked to the theme of the symposium. The Alvar Aalto Symposium, which has established itself as a recognised architecture event, gathered over 300 architecture enthusiasts to the city of Jyväskylä 7-9 August 2015. The symposium’s theme challenged the speakers and participants to examine architecture from the perspective of doing. The attraction of the symposium comes from both the interesting themes and the attending people. The lecturers and the architects, designers, students, journalists and other participants from around the world produced a seminar that was rich with discussion and argument. The Alvar Aalto Foundation produced the event in cooperation with the Museum of Finnish Architecture, Architecture Information Centre Finland and the City of Jyväskylä. The Symposium’s arrangements were supported by the Ministry of Education and Culture and the City of Jyväskylä. The symposium was chaired by architect Anssi Lassila. 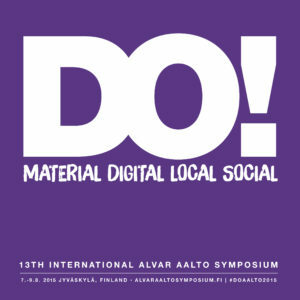 The Alvar Aalto Symposium, now established as a prestigious architecture event, attracted nearly 400 architecture enthusiasts to Jyväskylä 10–12.8.2012. 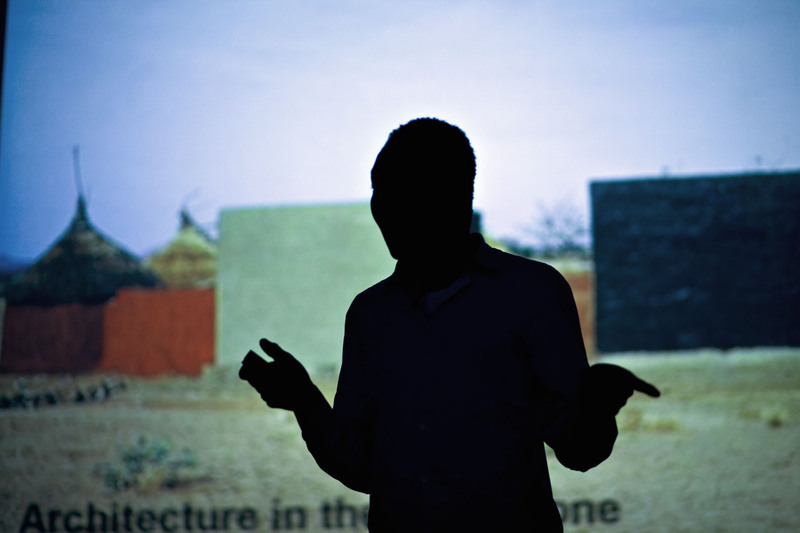 The Symposium’s theme “Crafted – The Ingredients of Architecture” inspired a wide range of lectures. This 12th Symposium considered the highly diverse ways in which the word crafted occurs in the multifaceted and complex relationship between materials, craft skills, industrial construction and culture. The speakers and the architects, students, journalists and other participants from around the world once again set the scene for an event marked by fruitful conversation and definitive opinions. The successful Symposium was chaired by architect and Professor at Aalto University Pekka Heikkinen. 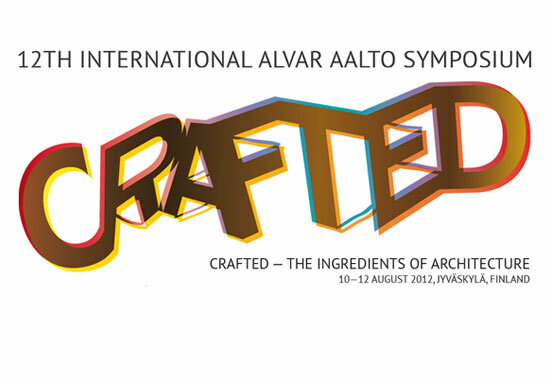 The eleventh international Alvar Aalto Symposium was held in Jyväskylä on 7.8. to 9.8.2009. The chairman of the symposium was Professor Sami Rintala who is himself an architect. The theme of the symposium dealt with architecture on the boundary i.e. architecture outside the centre. This boundary was defined in a different way in the theme of the symposium – it could mean the geographical periphery in relation to the centres of the western world or a difference in ideas in the predominating architectural debate in the media. One border-line area was considered to be the relationship between art and architecture. Within the framework of the theme, ecological factors and issues highlighted by the participation of local inhabitants had a key role. Over 500 guests from Finland and abroad took part in the symposium. The first symposium was held in 1979, so that Edge was also jubilee symposium held in honour of the thirtieth anniversary of the event. The anniversary was celebrated with special Symposium 30 products adorned with the jubilee logo designed by Susanna Raunio. Edge received an award for being the best congress held in Jyväskylä in 2009. The tenth international Alvar Aalto Symposium was held in Jyväskylä on 28.7 to 30.7.2006. The theme of the symposium was the opinion developed by Alvar Aalto about the future of rationalist architecture, which included the proviso that the concept of rationality should be extended widely. The theme was taken up by a group of international speakers consisting of eight architects, a landscape architect and a composer. The chairman of the symposium was the architect Juha Ilonen. In connection with the symposium, an architectural exhibition entitled Speakers at Work was held at the Alvar Aalto Museum in Jyväskylä showing the work of the principal speakers at the symposium. A publication was compiled about the symposium. 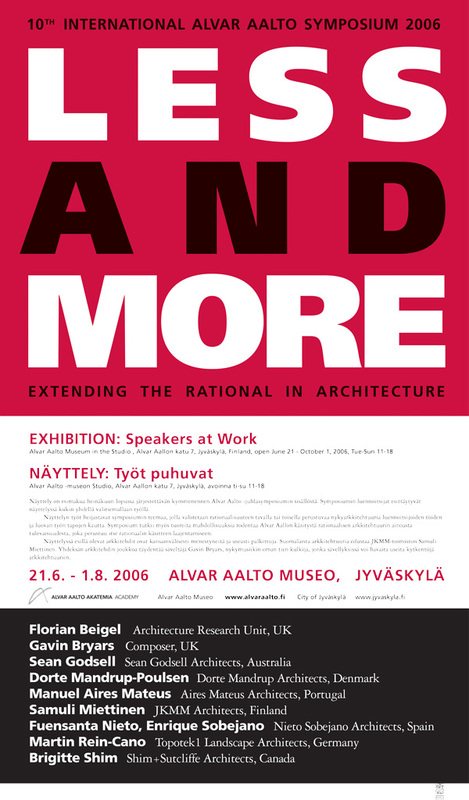 The ninth international Alvar Aalto Symposium was held in Jyväskylä on 1.8 to 3.8.2003. In connection with the theme of the event, nine speakers considered the relationship between permanence and chance in architecture. The symposium ended in the traditional manner with a discussion. The chairman of the symposium was the architect Mikko Heikkinen. 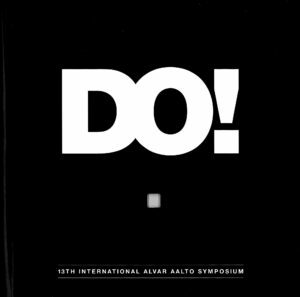 The eighth international Alvar Aalto Symposium was held in Jyväskylä on 11.8 to 13.8.2000. The millennium year, 2000, led to the theme being distilled into the question of whether architecture could start from a clean slate in the year zero. This caused the lecturers to think about the meaning of the history of architecture, values, individuality, and genius loci in terms of contemporary architecture. The chairman of the symposium was the architect Pentti Kareoja. An exhibition of the work of the Soundings for Architecture 2 Workshop was opened in connection with the symposium at Jyväskylä public library. 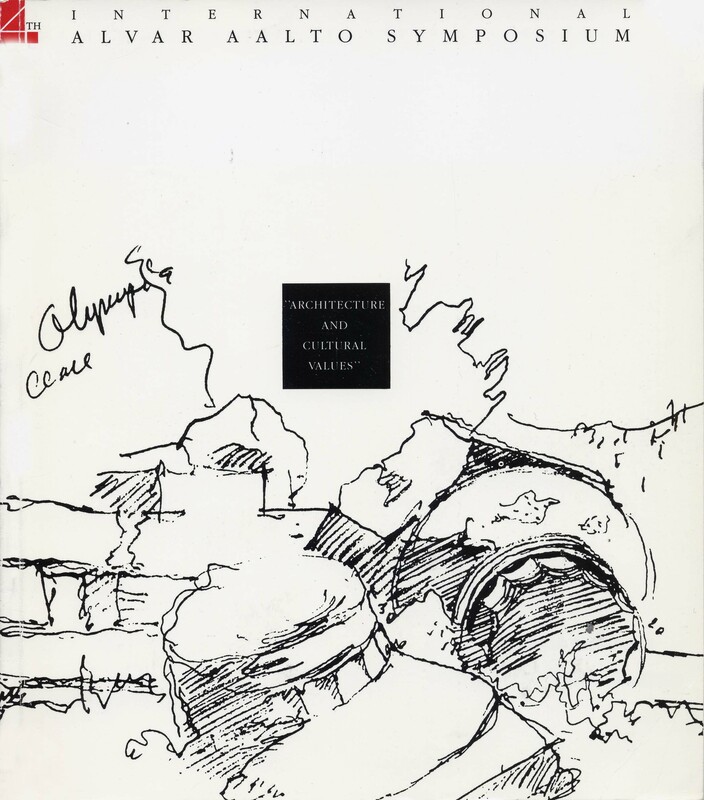 A publication entitled Architecture in the Year Zero was compiled about the symposium. The seventh international Alvar Aalto Symposium was held in Jyväskylä on 15.8 to 17.8.1997. The chairman of the symposium was the architect Simo Paavilainen. The invited speakers represented various disciplines from architecture to philosophy and from music to literature. It may well be that successful combinations of matter and mind, and material and meaning, would allow a balanced architecture in which form and detail are not unconnected so that form would have meaning. 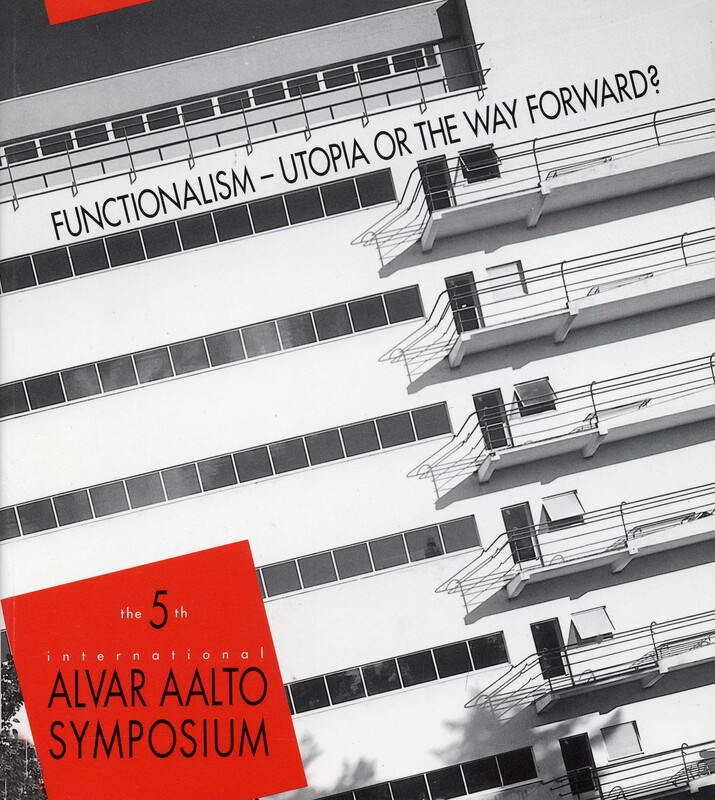 The sixth international Alvar Aalto Symposium was held in Jyväskylä on 19.8 to 21.8.1994. The aim of the symposium was to assess the basic questions of architecture, i.e. 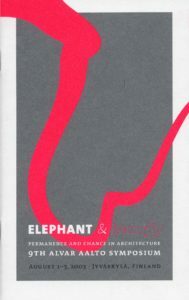 what are the fundamental issues in the built environment and in its design. The scarcity of the economic resources used for building and the necessity to take ecological factors into account mean that particular attention has to be paid to architectural design for the results to be sustainable solutions which take cultural values into account. The symposium ended with a tour of buildings designed by Alvar Aalto in and around Jyväskylä. During the symposium, there was an exhibition at the Alvar Aalto Museum of glass-ware designed by Alvar Aalto from the collection of the architect Touko Saari. 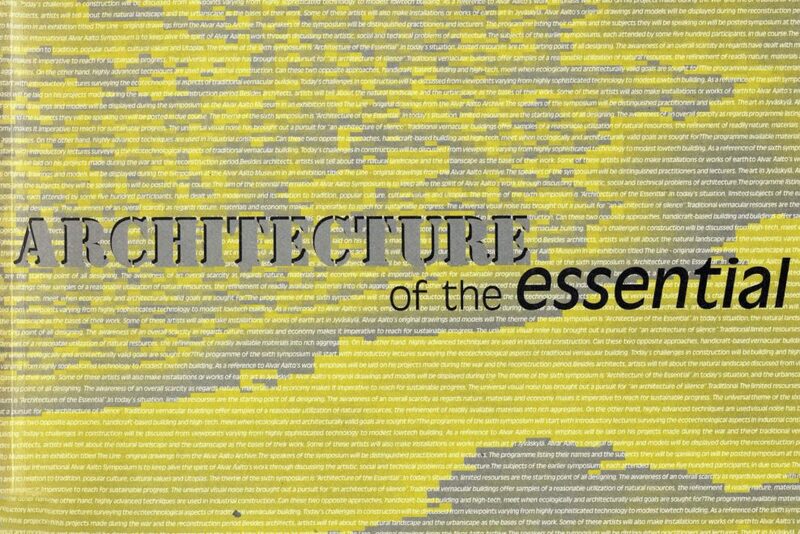 A publication entitled Architecture of the Essential (available on our webshop) was compiled on the symposium. The publication is available at shop.alvaraalto.fi. 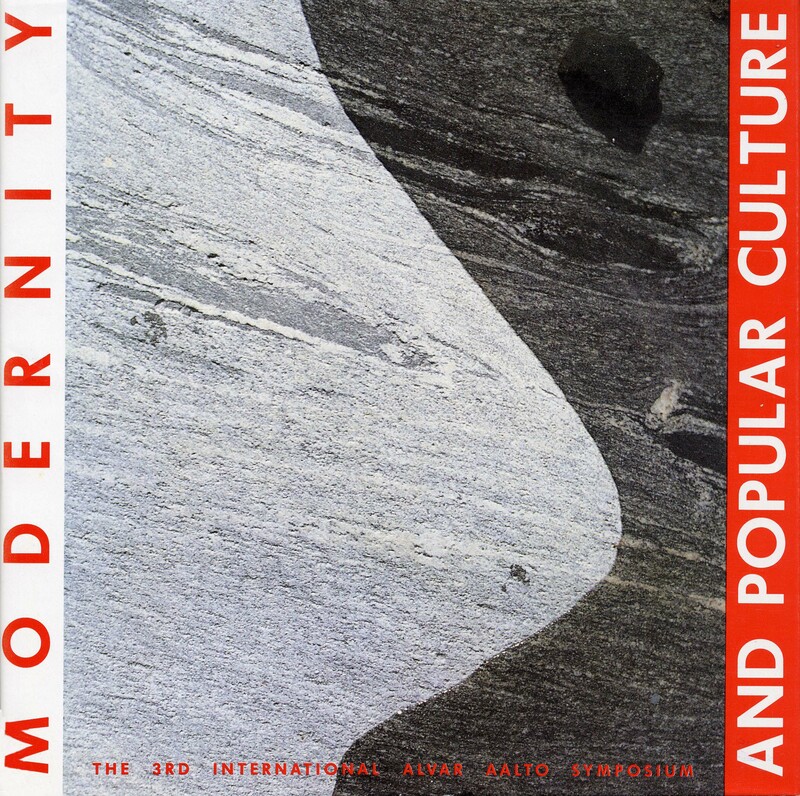 The fifth international Alvar Aalto Symposium was held in Jyväskylä on 16.8 to 18.8.1991. The theme of the symposium returned to the roots of modern architecture and considered whether solutions to the problems of contemporary architecture could still be found on the basis of the Functionalist tradition. Twelve international experts spoke on the theme and the chairman of the symposium was the architect Kristian Gullichsen. During the symposium, the Alvar Aalto Museum opened a renewed permanent exhibition dealing with the work of Alvar Aalto and an exhibition showing the work of Alvar Aalto’s artist friends and kindred spirits. At the Museum of Central Finland, there was an exhibition about the architect Sven Markelius put together by the Swedish Museum of Architecture. After the symposium, an excursion was organized to visit examples of Finnish Functionalist architecture. Ignasi de Sola-Morales, Spain High-Tech : Functionalism or Rhetoric ? Göran Schildt, Finland Was Alvar Aalto a Functionalist? The fourth international Alvar Aalto Symposium was held in Jyväskylä on 19.8 to 21.8.1988. The lecturers at the symposium considered the impact of worldwide uniform popular culture on architecture – does this kind of uniform culture control the architecture that arises from local characteristics or can an architecture that respects culture in a new way arise from local starting points? The symposium was chaired by the architect Gunnel Adlercreutz. In connection with the symposium, the Alvar Aalto Museum presented an exhibition consisting of a cross-section of Alvar Aalto’s architecture. In addition to this, there was an exhibition in the foyer of the Jyväskylä City Theatre by architects, who had previously worked in Alvar Aalto’s office, of their own work. Once again, the symposium attracted a large international audience of about 400 visitors from 32 countries. A publication was compiled on the symposium. The third international Alvar Aalto Symposium was held in Jyväskylä on 12.8 to 14.8.1985. The theme of the symposium dealt with the differences between popular culture and high culture since there seemed to be a somewhat similar division in architecture as there was, for example, in music. Eleven lecturers from around the world considered this division from the point of view of architecture. The chairman of the symposium was the architect Juhani Pallasmaa. During the symposium, the Museum of Central Finland organized an exhibition on the architecture of Reima Pietilä. The symposium was preceded by a two-day seminar at the Villa Mairea, organized by the Museum of Finnish Architecture. Around 370 guests from 24 countries took part in the symposium. The lectures given at the symposium were collected into a publication. The second international Alvar Aalto Symposium was held in Jyväskylä on 6.8 to 8.8.1982. The nine lectures given at the symposium dealt with the relationship of modern architecture to the Classical heritage. The idea was to use the lectures to stimulate debate about themes deemed to be topical. Again, the event collected a large group of participants from many countries. The chairman of the symposium was the architect Matti K. Mäkinen. 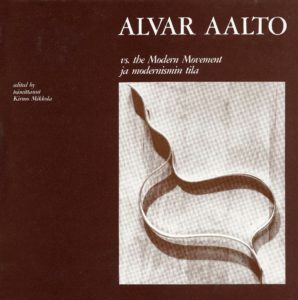 The first international Alvar Aalto Symposium was held in Jyväskylä on 1.7 to 3.7.1979. Architect Kirmo Mikkola was invited to be chairman. The theme of the symposium was closely linked with Alvar Aalto’s architecture, focussing on the legacy of modern architecture and its relationship with the work of Alvar Aalto. The first symposium attracted a good deal of attention in both the Finnish and foreign media and was attended by over 400 visitors with an interest in the theme, from fourteen different countries. While the symposium was in progress, an exhibition by Leonardo Mosso on Alvar Aalto’s architecture was held at the Alvar Aalto Museum. Publication is available on our webshop.